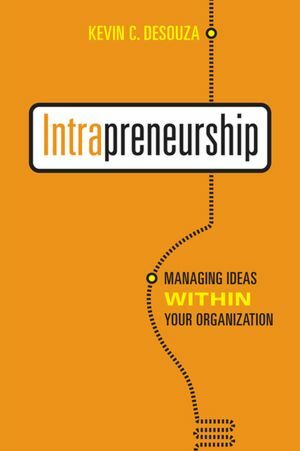 I will be speaking on Building Innovation into Organizations as a Competency as part of the Entrepreneurship Experts Speaker Series @ Rotman on April 3, 2012. The series is hosted by the Rotman School of Management, University of Toronto. 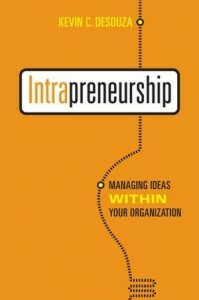 My talk will be followed by a book signing event for Intrapreneurship: Managing Ideas Within Your Organization (Rotman-UTP Publishing, 2011). I will be giving a talk at the School of Public Affairs, College of Public Programs, Arizona State University on Feb 14, 2011 @ 10.30-12. Emerging technologies are transforming public agencies and the nature of governance. Public Agencies have long recognized the value of information technologies for achieving their missions, streamlining operations, and communicating with the public. Yet, the track record of public sector information systems (IS) projects - system acquisitions, design and deployment - has been sub-par. I contend that one possible reason is their dual personality. They are both (a) public sector projects and (b) IS projects. Contemporary research on public sector IS projects often emphasizes the former but not the latter, often relegating technology to a “black box.” I will argue that this posture is not only unacceptable but also dangerous. Public administration researchers cannot simply relegate the study of technologies to other disciplines. Today, several factors require us to change our stance on the role of technologies in public agencies and in public administration research, including the amount of taxpayer money that is spent on technologies, the democratizing of technology, and the rise of open data programs. Toward this end, in this presentation, I will briefly present three mini-cases of user-inspired research. The first case will highlight the use of sentiment analysis of secondary data on the IRS Business Systems Modernization. Extracting stakeholder Sentiments and Confidence from documents, with a view to exploring how such measures may offer early indications of project progress and assist managers to prevent undesirable future outcomes. The second case will highlight how innovative public managers are leading the way in deploying technology sophistically for superior citizen engagement. The US Census Bureau used technologies not only to complete the 2010 census under budget, but also deployed them innovatively to engage citizens through the design of viable participatory platforms. The Census Bureau also effectively managed risks associated with using emerging technologies. The 2010 Census campaign focused on increasing response rates and encouraging citizen participation through innovations in the communication process with citizens and the infusion of technology. The third case will describe an ongoing project that seeks to understand the motivations of government agencies, software developers, and the public on the creation and use of (mobile) apps for urban governance. 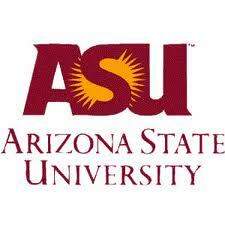 I have a paper accepted for publication in the Journal of the American Society for Information Science and Technology. The paper is titled, "Contextualizing Organizational Interventions of Knowledge Management Systems: A Design Science Perspective," and is co-authored with Peter Baloh (BISOL and IEDC Bled School of Management) and Raymond A. Hackney (Brunel University). This paper is based on Peter Baloh's dissertation. I served as chair of Peter's dissertation committee. The research in this paper addresses how individuals’ (workers) knowledge needs influence the design of knowledge management systems (KMS) enabling knowledge creation and utilization. It is evident that KMS technologies and activities are indiscriminately deployed in most organizations with little regard to the actual context of their adoption. Moreover, it is apparent that the extant literature pertaining to knowledge management projects is frequently deficient in identifying the variety of factors indicative for successful KMS. This presents an obvious business practice and research gap which requires a critical analysis of the necessary intervention that will actually improve how workers can leverage and form organization-wide knowledge. Our research involved an extensive review of the literature, and rigorous data collection and synthesis through an empirical case analyses (Parsons Brinckerhoff and Samsung). The contribution of the research is the formulation of a model for designing KMS based upon the design-science paradigm. The essential proposition of our research is that KMS design and implementation must be contextualized towards knowledge needs and that these will differ for various organizational settings. Our findings therefore present valuable insights and further understanding of the way in which KMS design efforts should be focused. Baloh, P., Desouza, K.C., and Hackney, R.A. “Contextualizing Organizational Interventions of Knowledge Management Systems: A Design Science Perspective,” Journal of the American Society for Information Science and Technology, Forthcoming.